Whether you’ve chosen a modern and elegant wedding theme or a bright and colorful beach-side vibe, you’ll want your wedding stationery to reflect the style of your upcoming nuptials. After all, it is your stationery that lets your guests ‘peek behind the curtain’ to catch their first glimpse of your wedding day. Your save-the-dates and wedding invitations not only set the tone, they help to build anticipation for your big day. 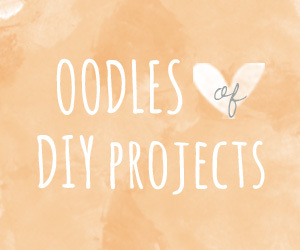 How do you find the perfect stationery to do just that? Enter Paperlust, the Melbourne, Australia based company that is changing the wedding stationery game. From rustic to sleek and minimalist, Paperlust works with top designers worldwide to bring you a selection of exclusive stationery to suit your wedding style. 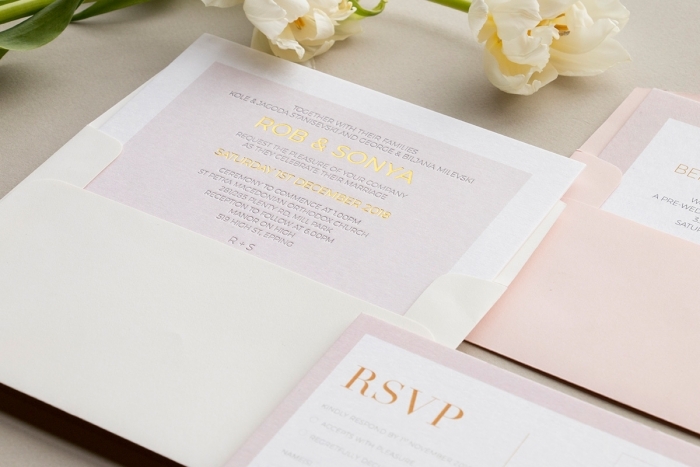 Paperlust streamlines the process of designing and printing wedding invitations, eliminating the time-consuming process of commissioning work from a designer, and sourcing a printing service. 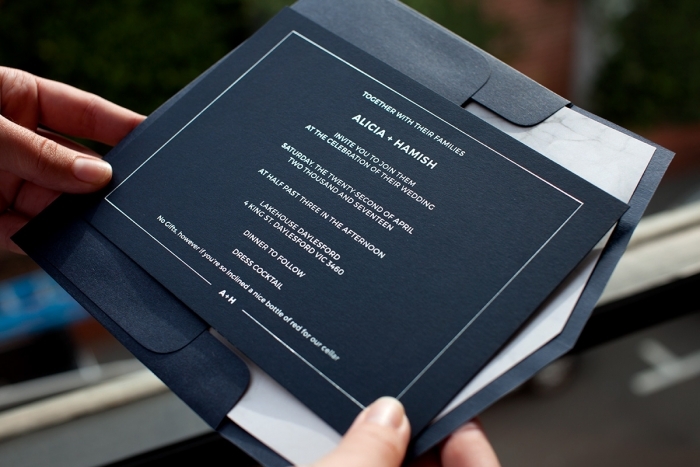 Simply select your invitation design, customize it and hit ‘check out’. Your beautiful stationery will be shipped to you in a matter of days. (Psst… They offer free worldwide shipping on orders over $300!). Paperlust offers a variety of luxury print options, including letterpress, white ink, raised foil, print on wood, real foil, digital print, photo cards and vellum. They’ve also introduced some exciting new options, including ‘mix n’ match’ wedding stationery as well as send and seal invitations, where all your invitation cards are in one easy piece of card – no envelopes required! 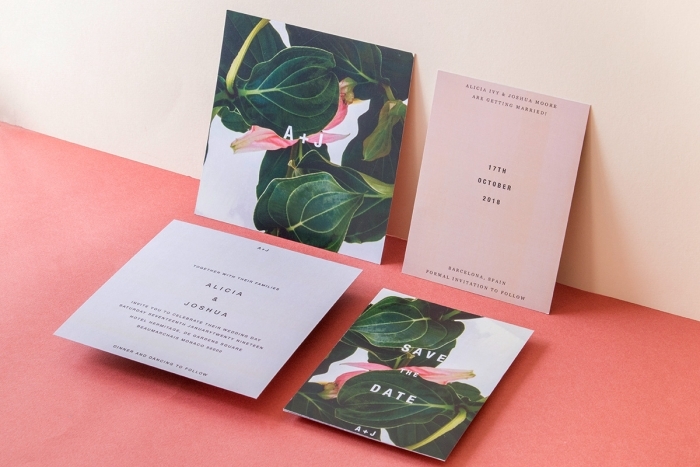 To help you narrow down your search for the perfect wedding invites, here are five wedding stationery styles that are hot for 2019! 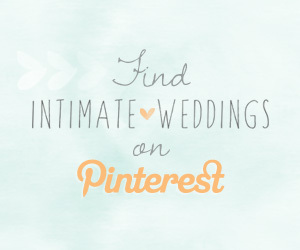 Looking to add a touch (or two) of luxury to your big day? 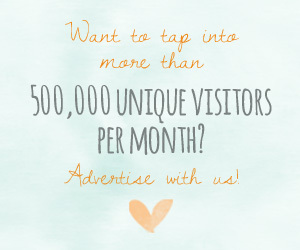 We suggest letterpress and gold foiling. We love the delicate gold accents on this blush invitation suite designed by Shab M.
Wooden wedding invites are the perfect accent to rustic weddings or nature-inspired weddings. These Woodstock invitations from Stefan Arifin are so unique! More and more couples are opting for destination weddings in tropical locations. 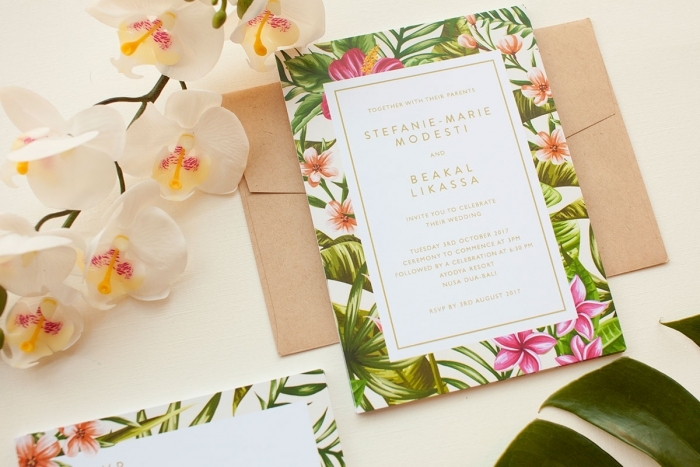 To get your guests excited about the exotic blooms, sunny skies and white sand beaches, we recommend tropical-inspired wedding invites like the Sweet Tropical Suite designed by Inggrid Hayasidarta. Amp up your wedding stationery with a gorgeous botanical theme. We love the organic look of the Medinilla invitation suite by Shab M.
A contemporary wedding calls for sleek, modern invites. Jacqueline Quetula’s Simplicity invitation suite will wow your guests with its elegant design and luxe silver foil accents. 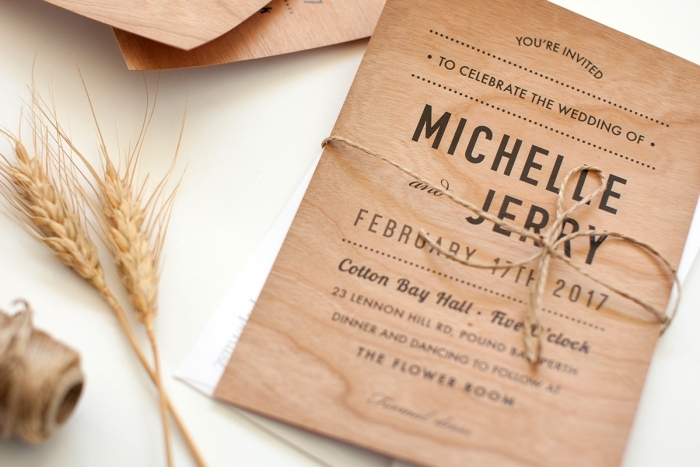 For more gorgeous wedding invitation and save the date styles, visit Paperlust.